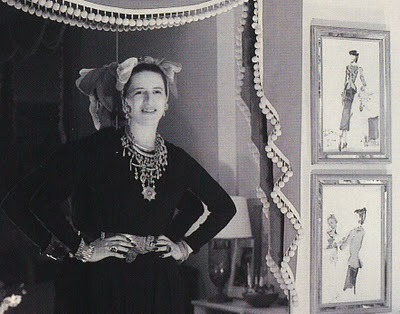 Diana Vreeland [videorecording] : the eye has to travel / Samuel Goldwyn Films, Epix Pictures and Gloss Studio present a Mago Media production ; directed and produced by Lisa Immordino Vreeland. “Diana Vreeland wasn’t just a tastemaker; she created the whole idea of tastemaking. She was the oracle of style, a woman who defined the way we looked at couture. Across a career that spanned half a century, she edited Harper’s Bazaar and Vogue, discovered Lauren Bacall (and innumerable others) and was style consultant to Jackie Onassis. This is her philosophy: on life, on fashion and on making it in an industry which so many desire to be part of and so few know how to crack”–Container. We have a sweet new DVD at the library which is a must-see. I was gutted to have missed this when it hit art-house cinemas a wee while ago, so I’m sooo relieved we got this in!! Telling the story of legendary Vogue editor Diana Vreeland, this DVD has been super popular since it hit our shelves. I am still patiently waiting on my reserve to come in, so I recommend you place yours ASAP!! These are all due to arrive some time in September (or early October if the boat is super-slow). Some suspenseful stories (with a bit of fantasy), and one about discovering your niche. 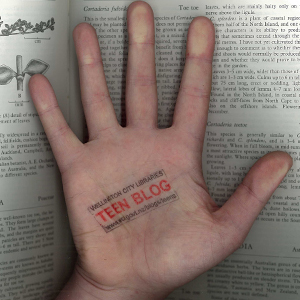 One of the huge jobs we’re currently in the process of doing is ‘weeding’ the YA collection at Central. This means that we get to see what’s going out lots and what isn’t going out at all. If we think it’s a good book that should be going out more then we keep it. And so, this list of recommendations comes from that collection of books; the gems that haven’t gone out in a while, part one. Flower Power has always moved around. Why should this new town, new school, new flat be any different from all the others? But then she makes some friends who share her passion for old jazz classics. Perhaps her hippie parents’ near-neglect won’t matter, with these new people around her. But as the school year progresses, with boyfriends in the mix, Flower’s relationships evolve and change. Flower finds that the only way that she can deal with it all is to sing her songs, and her old favorites – but will she ever find the courage to sing to a roomful of people? Harper Waddle, Sophie Bushell, and Kate Foster committed the ultimate suburban sin: bailing on college to pursue their dreams. Their best friend, Becca Winsberg, took a more traditional path, but she’s got dreams of her own. Now the year is halfway through and the girl’s dreams seem within reach. In the small town of Jumbo, Texas, thirteen-year old Merrille, who has Asperger’s Syndrome, tries to live a “very ordered existence”. But disruption begins when a boy and his father arrive in town, and the youngster makes himself a part of the family. Cassie and her two brothers Mick (at 13, one year younger than Cassie) and Wilf (8-years-old) discover a very old lady living a time-forgotten life in a nearby suburb. Her house is cut off from the world, she is largely self-sufficient but has a believable means by which she supplements her food requirements. Miss McAllister moves from irascible and overbearing stranger to become the centre of the children’s lives. Their own parents, caught up in their own lives, are on the periphery of their childrens. Miss McAllister provides stability, a much-needed sense of responsibility, a standard of ethical behaviour and ultimately, love. Halina Rudowski is on the run. When the Polish ghetto where she lives is evacuated, she narrowly escapes, but her mother is not as lucky. Along with her friend Batya, Halina makes her way to a secret encampment in the woods where Jews survive by living underground. As the group struggles for food, handles infighting, and attempts to protect themselves from the advancing Germans, Halina must face the reality of life without her mother. After a demon appears to repossess her car, eighteen-year-old Bug Smoot discovers that both the car and her soul were given as collateral in a deal made with the Devil by her irascible Grandfather. Given two-days grace, she tries to find a way to outsmart the Devil and his minions. This is an enormous job! As you can see, I’m only up to the G’s which is why this is only part one. Keep an eye out for more gems that haven’t gone out in a while! The Last Herrick Secret, Adele Broadbent (222 pages) – Becs and her family are returning to the city, taking Isaiah Herrick with them. Becs is keen to slot right back into city life where she left off, but it’s harder than she expected. Isaiah struggles with the change and is worried about a stranger he saw on the verandah as they left the bush. Meanwhile, things aren’t right at Herrick House, and soon Becs and Isaiah have to return in order to help with the last Herrick secret. Indigo Awakening, Jordan Dane (294 pages) – Voices told Lucas Darby to run. Voices no one else can hear. He’s warned his sister not to look for him, but Rayne refuses to let her troubled brother vanish on the streets of LA. In her desperate search, she meets Gabriel Stewart, a runaway with mysterious powers and far too many secrets. Rayne can’t explain her crazy need to trust the strange yet compelling boy—to touch him—to protect him even though he scares her. A fanatical church secretly hunts psychic kids—gifted “Indigo” teens feared to be the next evolution of mankind—for reasons only “the Believers” know. Now Rayne’s only hope is Gabe, who is haunted by an awakening power—a force darker than either of them imagine—that could doom them all. Something Like Hope, Shawn Goodman (193 pages) – 17-year-old Shavonne has been in juvenile detention since the seventh grade. Mr Delpopolo is the first counselor to treat her as an equal, and he helps her get to the bottom of her self-destructive behavior, her guilt about past actions, and her fears about leaving the Center when she turns 18. Shavonne’s mentally unstable roommate Cinda makes a rash move, and Shavonne’s quick thinking saves her life—and gives her the opportunity to get out of the Center if she behaves well. But Shavonne’s faith is tested when her new roommate, Mary, is targeted by a guard as a means to get revenge on Shavonne. As freedom begins to look more and more likely, Shavonne begins to believe that maybe she, like the goslings recently hatched on the Center’s property, could have a future somewhere else—and she begins to feel something like hope. The Whole of My World, Nicole Hayes (370 pages) – Desperate to escape her grieving father and harbouring her own terrible secret, Shelley disappears into the intoxicating world of AFL. Joining a motley crew of footy tragics and, best of all, making friends with one of the star players, Shelley finds somewhere to belong. Finally she’s winning. So why don’t her friends get it? Josh, who she’s known all her life, but who she can barely look at anymore because of the memories of that fateful day. Tara, whose cold silences Shelley can’t understand. Everyone thinks there’s something more going on between Shelley and Mick. But there isn’t is there? When the whole of your world is football, sometimes life gets lost between goals. Gloss, Marilyn Kaye (394 pages) – New York, 1963. Fashion, music and attitudes are changing, and there’s nowhere in the world more exciting. Sherry, Donna, Allison and Pamela have each landed a dream internship at Gloss; America’s number-one fashion magazine. Each girl is trying to make her mark on New York and each finds herself thrown head-first into the buzzing world of celebrity, high-end fashion and gossip. But everything isn’t as glamorous as it seems – secrets from the past threaten to shatter their dreams. They’re finding out that romance in New York is as unpredictable and thrilling as the city itself. Dare You To, Katie McGarry (456 pages) – If anyone knew the truth about Beth Risk’s home life, they’d send her mother to jail and seventeen-year-old Beth who knows where. So she protects her mom at all costs. Until the day her uncle swoops in and forces Beth to choose between her mom’s freedom and her own happiness. That’s how Beth finds herself living with an aunt who doesn’t want her and going to a school that doesn’t understand her. At all. Except for the one guy who shouldn’t get her, but does. Ryan Stone is the town golden boy, a popular baseball star jock-with secrets he can’t tell anyone. Not even the friends he shares everything with, including the constant dares to do crazy things. The craziest? Asking out the Skater girl who couldn’t be less interested in him. Broken, Elizabeth Pulford (243 pages) – Critically injured in a motorbike accident, Zara Wilson lies in a coma. She is caught between many worlds: the world of her hospital room and anxious family, and that of her memories and a dream-like fantasy where she searches for her brother Jem. Jem proves elusive but Zara s adventures in her subconscious unlock dark secrets of a troubled childhood. Zara must face up to her past in order to accept her future. I know we’ve discussed the merits of secondhand or thrift shopping before, but it really is just so awesome! I’m constantly amazed at the sweet bargains you can get. It’s such a great way to buy beautiful things that you possibly otherwise couldn’t afford. Being good for the environment, your wallet and your wardrobe, what’s not to like? We have some new books on vintage fashion and secondhand goodness coming in, so I thought I’d celebrate our lovely new reads by showing off some of my favourite secondhand bargain buys. These two items, I nabbed from everyone’s favourite secondhand shopping website – for a total spend of $20! Shoes and a shirt! Including shipping! Whoop!! I saw this bag in a local secondhand store and fell in love. I thought it was kinda expensive by secondhand standards (30 buck, ya’ll! ), but it is in perfect condition and is really beautiful and also a bit different – I get loads of comments on it whenever I use it. This is definitely an example of something I couldn’t have afforded otherwise! It is in amazingly good condition, especially considering it is from the 70s (and beige! ), and I love the chic simplicity of it and the slightly old-school vibe. Swoon. And, as promised, we do have some sweet new books on vintage and secondhand fashions. These are new orders (so they haven’t hit our shelves just yet) but reserve now to avoid disappointment!! I have my eye (and reservation!) on number two. A not-so-futuristic dystopian story, some gothic horror, and another new book from the prolific David Levithan. Two Boys Kissing, David Levithan. Based on actual events, Two Boys Kissing tells the story of two seventeen year olds who have a crack at the Guinness World Record for kissing. Their participation in the 32 hour marathon becomes “a focal point in the lives of other teen boys dealing with languishing long-term relationships, coming out, navigating gender identity, and falling deeper into the digital rabbit hole of gay hookup sites – all while the kissing former couple tries to figure out their own feelings for each other” (goodreads.com). From the author/coauthor of Boy Meets Boy, Will Grayson, Will Grayson, Nick & Norah’s Infinite Playlist, and so much more. 20.08.13 | Permalink | Comments Off on Tremendous Trilogies, Volume Seven. We’ve always loved Maurice Gee since being introduced to him at school with The fire-raiser and Under the mountain. Imagine our excitement then at now being able to rave about his tremendous YA Salt Trilogy! This tremendous trilogy takes place in a part dystopian, part fantasy world where one group of citizens, Company, exploit everyone else. Never fear, there’s a resistance movement against these dasterdly rulers and their cruel inforcers, the Whips. What struck us the most about this novel was that the narration felt very much like an oral tradition society telling the story of their origins. The flow of the sentences, the words chosen, the cadence for example all suggest this story is best read aloud. The first book in the trilogy opens with the father of the hero, Hari, being forcably taken by the Whips to work in Deep Salt, the mysterious mines from which no one returns. Hari has a secret gift: he can communicate with animals. With this and his own smarts he sets out to rescue his father from With him is the beautiful Pearl, born into Company, she runs from a life of subservience as a married woman and has learned forbidden things from her mysteriously gifted maid Tealeaf. Book two introduces a different kind of horror to Hari’s world. The Gool cannot be seen, not properly, but its evil presence can be sensed. It lurks in the jungle in rock clefts, an enemy from outside nature. And now, a fragment of Gool holds Hari by the throat, draining the life from him. Hari’s friends set out on a perilous mission to find the Dog King Tarl, Hari’s father who they hope will be able to find the source of the Gool and destroy it before it’s too late. The final book involves Hari and Pearl’s grandson Ben. He’s been raised by them, and doesn’t quite fit into their world (in the wilderness) or his father’s world (in the city). Back in the burrows Hana has just watched her mother die, and she seeks a way to take revenge on the Limping Man, who has caused her death. Hanna and Ben meet in the forest where they learn of the advancing armies that will wipe out all those who have sought refuge in the wilderness. And so begins their quest to destroy the Limping Man whose secret they need to discover because none of them–alone or together–is strong enough to fight the evil the Limping Man embodies without knowing his secret. Oh, Maurice Gee, you do battles of good and evil so very well. We loved The Halfmen of O and we love this Tremendous Trilogy just as much! The Sin-Eater’s Confession, Lisa J. Bick (287 pages) – People in Merit, Wisconsin, always said Jimmy was … you know. But people said all sorts of stupid stuff. Nobody really knew anything. Nobody really knew Jimmy. I guess you could say I knew Jimmy as well as anyone (which was not very well). I knew what scared him. And I knew he had dreams—even if I didn’t understand them. Even if he nearly ruined my life to pursue them. Jimmy’s dead now, and I definitely know that better than anyone. I know about blood and bone and how bodies decompose. I know about shadows and stones and hatchets. I know what a last cry for help sounds like. I know what blood looks like on my own hands. What I don’t know is if I can trust my own eyes. I don’t know who threw the stone. Who swung the hatchet? Who are the shadows? What do the living owe the dead? Half Lives, Sara Grant (334 pages) – Present day: Icie is a typical high school teenager – until disaster strikes and her parents send her to find shelter inside a mountain near Las Vegas. The future: Beckett lives on The Mountain – a sacred place devoted to the Great I AM. He must soon become the leader of his people. But Beckett is forced to break one of the sacred laws, and when the Great I AM does not strike him down, Beckett finds himself starting to question his beliefs. As Beckett investigates The Mountain’s history, Icie’s story is revealed – along with the terrifying truth of what lies at the heart of The Mountain. Nine Days, Fred Hiatt (239 pages) – Set against the bustling backdrop of Hong Kong, Vietnam, and the border of China, this heart-pounding adventure takes place as two teens, an American teenage boy and his friend, a Chinese girl from his Washington, DC-area high school, must find her father who has been kidnapped—and they only have nine days. Far Far Away, Tom McNeal (369 pages) – Jeremy Johnson once admitted he’s able to hear voices, and the townspeople of Never Better have treated him like an outsider since. After his mother left, his father became a recluse, and it’s been up to Jeremy to support the family. But it hasn’t been up to Jeremy alone. The truth is, Jeremy can hear voices. Or, specifically, one voice: the voice of the ghost of Jacob Grimm, one half of the infamous writing duo, The Brothers Grimm. Jacob watches over Jeremy, protecting him from an unknown dark evil whispered about in the space between this world and the next. But when the provocative local girl Ginger Boultinghouse takes an interest in Jeremy (and his unique abilities), a grim chain of events is put into motion. And as anyone familiar with the Grimm Brothers know, not all fairy tales have happy endings. The Rithmatist, Brandon Sanderson (370 pages) – More than anything, Joel wants to be a Rithmatist. Chosen by the Master in a mysterious inception ceremony, Rithmatists have the power to infuse life into two-dimensional figures known as Chalklings. Rithmatists are humanity’s only defense against the Wild Chalklings — merciless creatures that leave mangled corpses in their wake. As the son of a lowly chalkmaker at Armedius Academy, Joel can only watch as Rithmatist students study the magical art that he would do anything to practice. Then students start disappearing — kidnapped from their rooms at night, leaving trails of blood. Assigned to help the professor who is investigating the crimes, Joel and his friend Melody find themselves on the trail of an unexpected discovery — one that will change Rithmatics — and their world — forever. The Murmurings, Carly Anne West (370 pages) – Everyone thinks Sophie’s sister, Nell, went crazy. After all, she heard strange voices that drove her to commit suicide. But Sophie doesn’t believe that Nell would take her own life, and she’s convinced that Nell’s doctor knows more than he’s letting on. As Sophie starts to piece together Nell’s last days, every lead ends in a web of lies. And the deeper Sophie digs, the more danger she’s in—because now she’s hearing the same haunting whispers. Sophie’s starting to think she’s going crazy too. Or worse, that maybe she’s not. Portraits of Celina, Sue Whiting (349 pages) – Make him pay, Bayley. Make him pay. It’s as if the wooden chest is luring me, urging me to open it – daring me almost. Open me up. Look inside. Come on, just for a second; it won’t hurt. Celina O’Malley was sixteen years old when she disappeared. Now, almost forty years later, Bayley is sleeping in Celina’s room, wearing her clothes, hearing her voice. What does Celina want? And who will suffer because of it? A ghost story. A love story. A story of revenge. Audrey Hepburn in hats / June Marsh. What would Audrey do? : timeless lessons for living with grace and style / Pamela Keogh. So ya’ll know what I’ll be reading this weekend! For some sweet, up-beat and gorgeously old-school charm, I recommend you watch a couple of her movies. 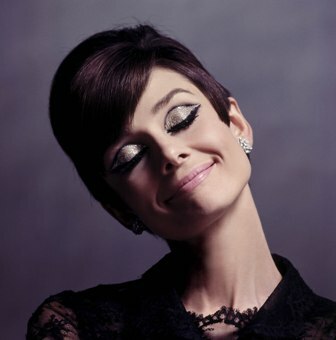 If you haven’t yet been drawn in by Audrey’s irresistable manner yet, you soon will be! Breakfast at Tiffany’s [videorecording] / Paramount Pictures ; a Jurow-Shepherd production ; directed by Blake Edwards ; produced by Martin Jurow and Richard Shepherd ; screenplay by George Axelrod. An eccentric New York City playgirl is determined to marry a Brazilian millionaire, but her next-door neighbour, a writer, changes her plans. Funny face [videorecording] / [presented] by Paramount Pictures. A Cinderella story about an inconspicuous salesgirl who is whisked off to Paris by a group of fashion magazine sophisticates and transformed into a dazzling model with whom the magazine’s photographer falls in love.